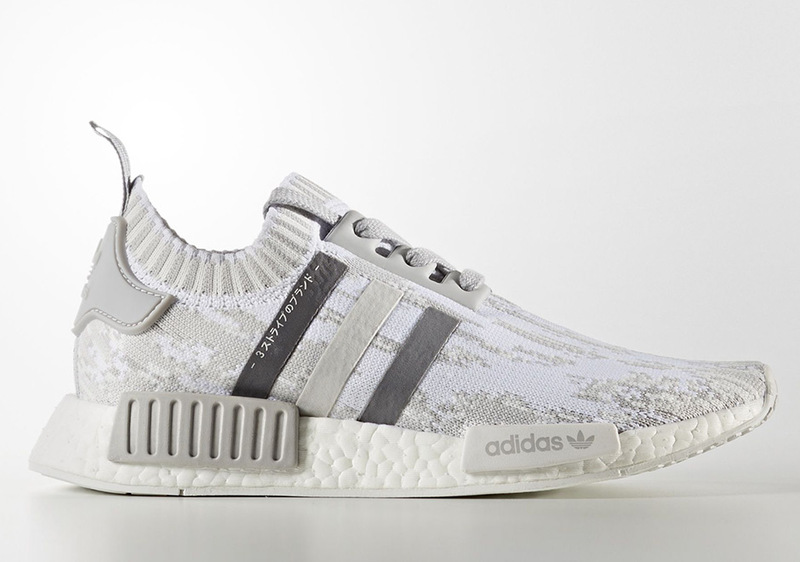 Update: The WMNS adidas NMD R1 PK in “Grey” releases on October 14th, 2017 for $170..
Previews of three new colorways for the adidas NMD R1 have already rolled in today, and now we get a first look at a fourth. 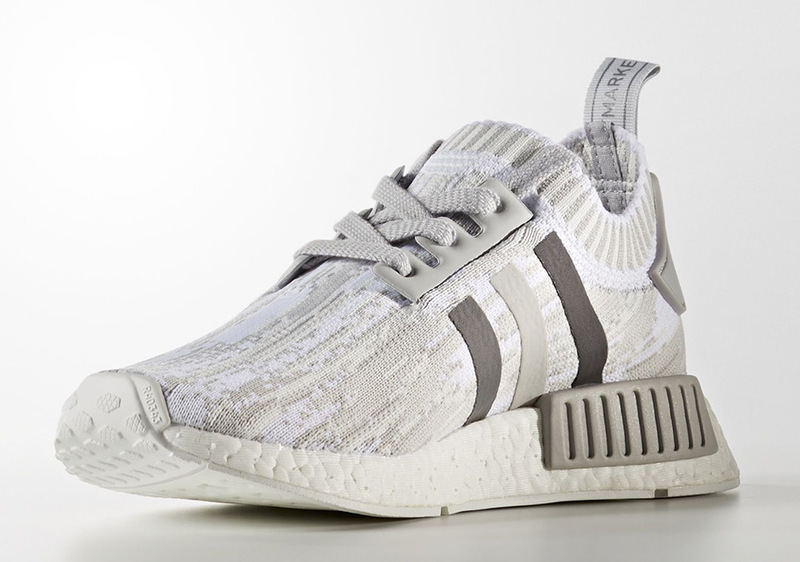 Again in a “Glitch Camo” motif for the Primeknit upper like the grey/linen and grey/olive/pink renditions seen earlier, these feature a nice blend of white, cream, and light grey with the three stripes in three different shades. 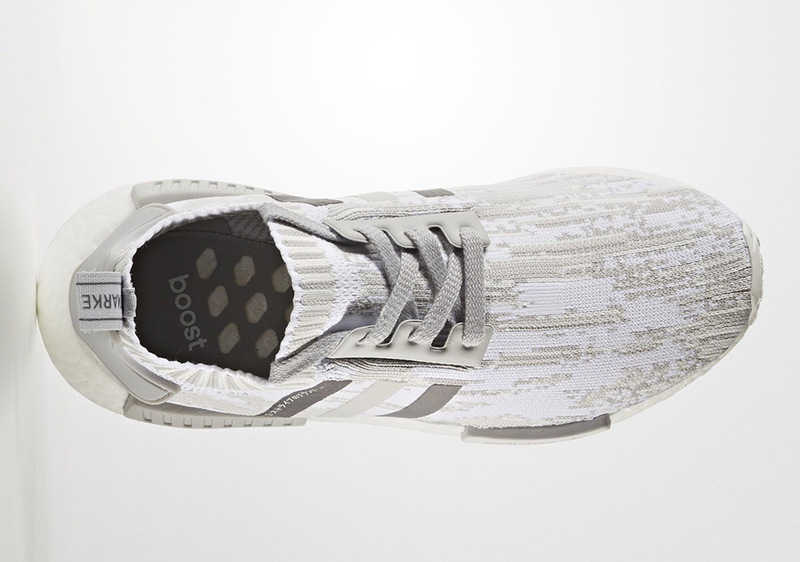 The top stripe also features Japanese text to make them extra unique. 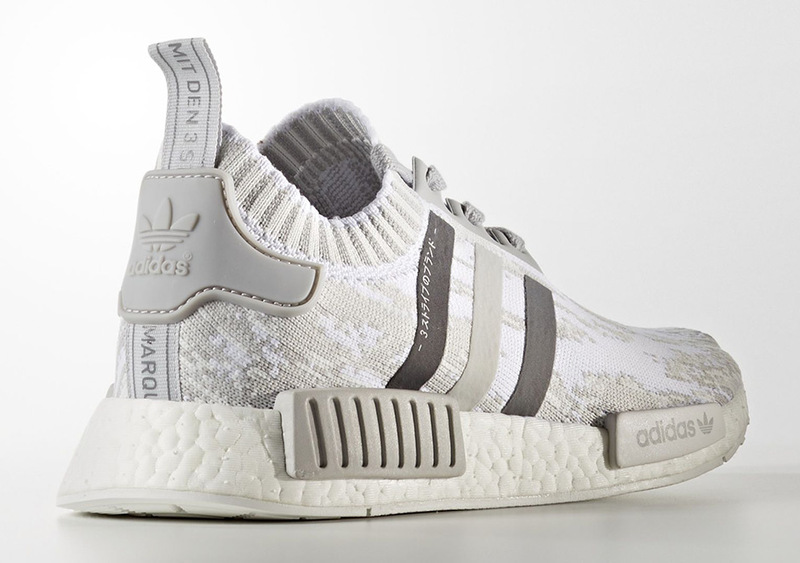 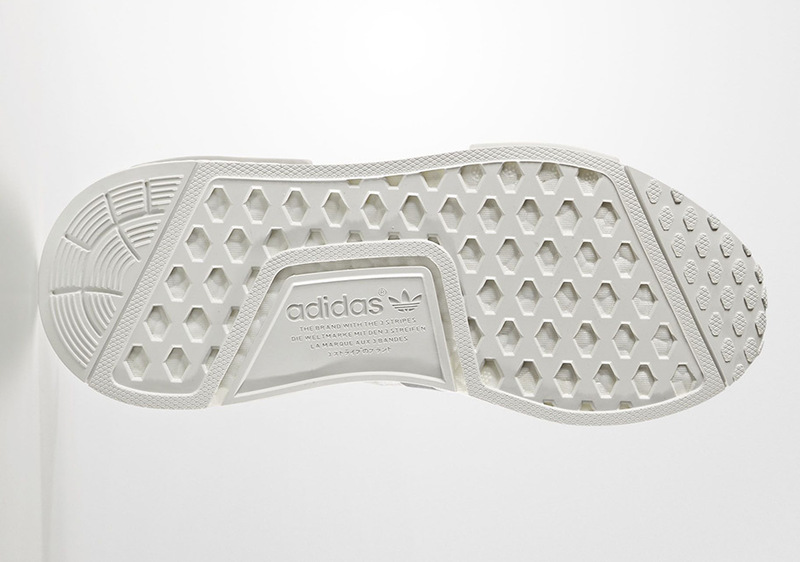 Enjoy a look at the official images here, and stay tuned to Sneaker News for a confirmed release date.